Why OTA testing for 5G? First, the level of integration within the device under test (DUT) will increase significantly, particularly as devices add antenna arrays and RF/baseband processors to the module. This will make it more difficult to place and have access to connectors. This higher level of integration will make connecting DUTs to test equipment by cables physically impossible in most cases. Second, at millimeter wave (mmWave) frequencies, signal absorption rates are much higher than at RF, requiring the need for beam focusing or forming to boost the gain of the signal. For this reason, OTA test solutions are needed to validate beam characterization, acquisition and performance tracking. 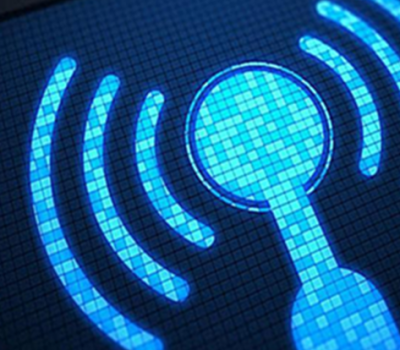 As 5G wireless evolves, the role of OTA testing is becoming more critical. With higher levels of integration and mmWave frequencies, measurements using test ports will not always be possible. Device designers and manufacturers will need to rely on OTA testing to validate device performance. When designing a 5G antenna system, engineers face new challenges not previously seen in 4G LTE systems. One of the new challenges presented by 5G technology includes finding the proper setup and positioning for 3-D antennas to test the moving beams, while accounting for interference and scattering. A new measurement dimension—space, or power versus direction of departure—must be included. Additionally, each transceiver in the active antenna system needs to be characterized through an OTA interface, with measurements made for both the transmitter and the receiver. Each transceiver must turn on for individual verification or a set of transceivers must turn on for joint assessment. Due to the high path loss and limited range of an mmWave wireless system, precise beam generation, tracking and fast acquisition is required for mobile users. With antenna implementations for existing cellular technologies, static pattern characterization was sufficient, unlike 5G systems which require dynamic beam measurements to accurately characterize beam tracking and steering algorithms. Rohde & Schwarz offers a comprehensive portfolio of turn-key systems for performing OTA measurements on 5G modules, devices and massive MIMO active antenna systems operating at sub-6GHz or at mmWave. 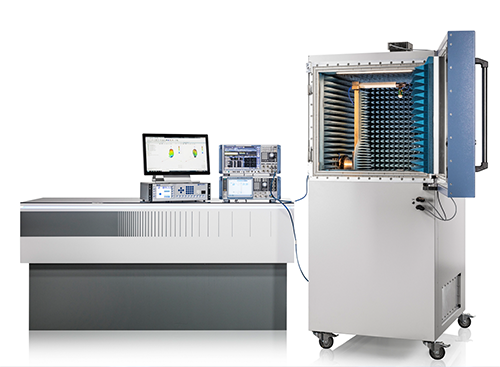 Please contact Rohde & Schwarz for more in-depth discussion about our 5G OTA test solutions for your application. Learn more about 5G OTA and massive MIMO testing. Discover eight things to consider about massive MIMO in this eBook.